Microsoft's Xbox 360 is officially five years old going on fortysomething, as in 40 million Xbox 360s sold worldwide since it debuted in November 2005. For those of you keeping score, that puts the Xbox 360 about 30 million units behind the Wii, and about 6 million ahead of Sony's encroaching PlayStation 3. In the US, of course, the ratios skew differently. 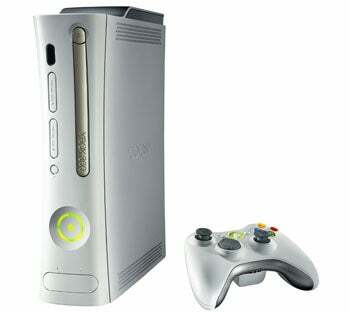 Nintendo's Wii beats all, cleaning the Xbox 360's clock by a roughly 10 million unit spread. But where the PS3 trumps the Xbox 360 in Japan 5-to-1 and either ties or slightly edges Microsoft's console in Europe, it's behind in the US by a whopping nine million units--a gap that's held steady for some time as the two systems battle neck and neck in monthly retail tallies. Xbox 360 sales have slowed somewhat, admits Microsoft, noting sales dipped 12 percent to 1.5 million in 2010's first quarter. But it still has the highest US software attach rate of any console--an enviable 8.8 units sold per console, or 203 million total. By comparison, the Wii's software attach rate was about 6.5 back in September 2009, which--assuming that's still accurate--adds up to 215 million units. That certainly casts things in a different light.